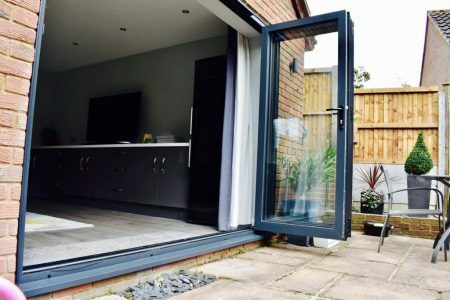 3 Panel Bifold in Grey Anthracite Ral 7016, opening out to the right. 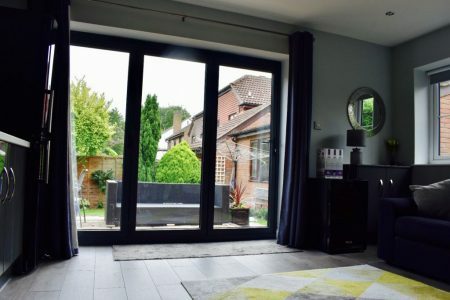 Accompanied with black furniture. 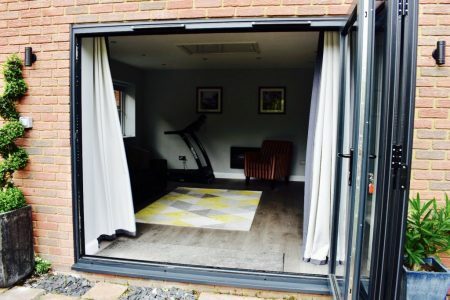 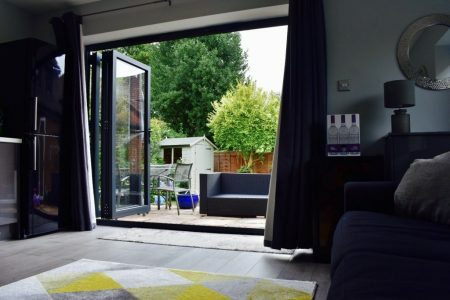 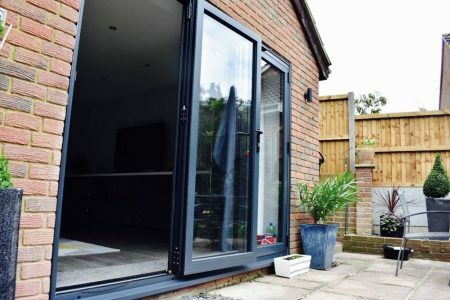 Bifolding doors suit any situation; whether that be an addition to the back of your home, or an amendment to an outer building. 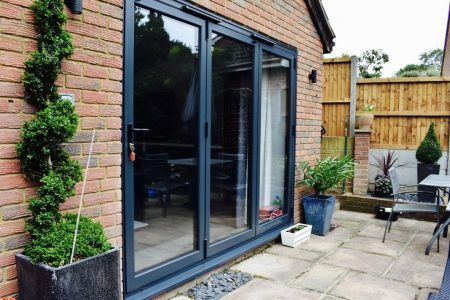 Mr and Mrs Etheridge chose to add a 3 Panel Bifold to their outer building, with the choice being ideal for what they wanted to achieve.